From the creator of iCarly, Victorious and Sam & Cat comes a brand NEW show - Henry Danger! Are you ready for Henry Hart & his new job?! The TV movie PREMIERES on January 1, 2015 @ 9:10am (SG) | 9:25am (WIB | 10:25am (MY) | 2pm (PH), only on Nickelodeon! To celebrate Nickelodeon South East Asia premiering the brand-new "Henry Danger" TV movie, Nick SEA's official website, nick-asia.com, has unveiled the channels official "Henry Danger" website, which features information about the all-new movie and show, a 'Meet the Characters' section featuring information about the characters featured in the series, exclusive online streaming video clips, and fantastic photo gallery's! 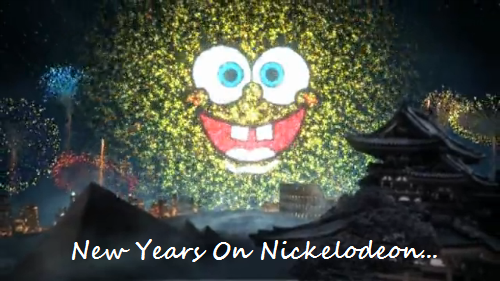 Additionally, Nick Asia has announced in a separate Facebook post that to celebrate New Years Day, Nickelodeon South East Asia will be airing a marathon of brand-new episodes of "SpongeBob SquarePants" on Thursday 1st January 2015 from 10am on Nick Philippines (PH), 10:05am on Nick Singapore (SG) and 11:30am on Nick Malaysia (MY)! Follow NickALive! on Twitter, Tumblr, Google+, via RSS, on Instagram, and/or Facebook for the latest Nickelodeon Asia, SpongeBob SquarePants and Henry Danger News and Highlights! Win A Walk-On Role On Nickelodeon's Brand-New Show "Bella and the Bulldogs"
To celebrate Nickelodeon USA starting to premiere and show the networks brand-new original comedy series "Bella and the Bulldogs" from Saturday 17th January 2015 at 8:00pm ET/PT, Nick USA's official website has launched a brand-new "Be On A Nickelodeon Show Sweepstakes" in which viewers can enter to win a walk-on role on Nickelodeon's brand-new show - a money can't buy prize! * Plus ground transportation to/from the airport, Nick set location & shopping spree! Three lucky runners-up will also receive a $150 gift card to Justice! NickHeads in the USA can enter Nick's no purchase necessary sweepstakes, plus watch a fantastic sneak-peek video clip of Nick's all-new sitcom, here at www.nick.com/walkonrole! The contest will close on at 9:59:59 p.m. ET on Monday 19th January 2015. Many will enter, few will win. Good luck to everyone who enters Nickelodeon's amazing "Be On A Nickelodeon Show Sweepstakes"! Follow NickALive! on Twitter, Tumblr, Google+, via RSS, on Instagram, and/or Facebook for all the latest Nickelodeon & Bella and the Bulldogs News and Highlights! Christine Cavanaugh, a voice actress who, among many of her famous voice roles, provided the voices of Chuckie Finster and Oblina in Nickelodeon's classic original animated series (Nicktoons) "Rugrats" and "Aaahh!!! Real Monsters", respectively, and Babe in Universal Pictures' hit movie "Babe", sadly passed away on Monday 22nd December 2014, aged 51. As well as voicing many iconic characters, Ms. Cavanaugh (August 16, 1963 - December 22, 2014), who retired from voice acting in 2001, also appeared in front of the camera, including a episode of the classic Nickelodeon series "Salute Your Shorts" and a episode of the hit CBS sitcom "Everybody Loves Raymond". Ms. Cavanaugh also provided the voice of 'Short Tail Macqaque' in a episode of the NickToon "The Wild Thornberrys". A Memorial Stone ceremony was held in her honor on Antelope Island, a place she loved and visited often with her papa. You can read Christine Josephine Cavanaugh's obituary published in the Los Angeles Times on Tuesday 30th December 2014, here on legacy.com. You can also learn about Christine's impressive career here on the IMDb. Nickelodeon UK, the number one commercial kids TV network in the UK, has announced in their brand-new "Average Day in Dimmsdale" trailer/promo the magical news that Nicktoons UK and Ireland, Nick UK's animation and action channel, will be premiering and showing more brand-new episodes from the ninth season of Nickelodeon's Emmy Award-winning original animated series (Nicktoon) "The Fairly OddParents" weekdays at 7:45am from Monday 5th January 2015! Following each new episodes debut, NickToons will encore each new episode the same day at 3:45pm and 7:15pm. Monday 5th January 2015 - Weirdos on a Train: Dad and Crocker make a deal. As a result, Crocker becomes best friends with Dinkleberg. Tuesday 6th January 2015 - Tons of Timmys: Timmy wishes up 5000 Timmys for the Planet of the Dads. The Timmys kidnap Cosmo and Wanda. Wednesday 7th January 2015 - Let Sleeper Dogs Lie: Crocker tries to trigger Sparky with a secret word. Thursday 8th January 2015 - Cat-Astrophe: Catman confuses Sparky for his old arch-nemesis Dogman. Friday 9th January 2015 - Lame Ducks: Dad organizes a neighbourhood watch programme to catch a neighbourhood thief. Monday 12th January 2015 - Perfect Nightmare: Timmy wishes he had the perfect family in order to win a contest. Everyone goes crazy trying to be perfect. Tuesday 13th January 2015 - Love at First Bark: Dad forbids Sparky from dating Dinkleberg's new dog. Timmy wishes Dad would like the dog as much as Sparky. Wednesday 14th January 2015 - Desperate Without Housewives: When Mom won't stop nagging Timmy and Dad, Timmy wishes all women away for one day. Thursday 15th January 2015 - Jerk of All Trades: Timmy gets Jorgen fired. He helps Jorgen find a new job. Friday 16th January 2015 - Snack Attack: Sparky makes his own magic dog treats. Crocker tries to buy one million of them in order to make a wish. Follow NickALive! on Twitter, Tumblr, Google+, via RSS, on Instagram, and/or Facebook for the latest Nickelodeon UK, NickToons UK and The Fairly OddParents News and Highlights! To celebrate Nickelodeon USA starting to premiere and show the networks brand-new original comedy series "Bella and the Bulldogs" from Saturday 17th January 2015 at 8:00pm ET/PT, the entertainment news website Fanlala.com has unveiled two videos featuring exclusive interviews with Nickelodeon Stars Brec Bassinger and Coy Stewart, who star as Bella Dawson and Troy in Nick's new sitcom, direct from the shows locker room studio set! 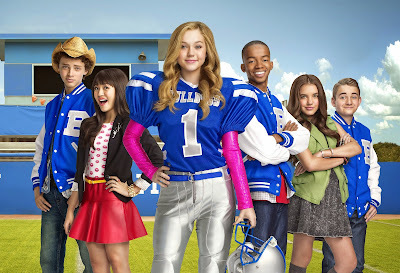 Catch the special two-part series premiere of "Bella and the Bulldogs", 1/17 at 8:00pm ET/PT, only on Nick USA! New Years Day 2015 On Nickelodeon UK, Nicktoons And Nick Jr.
To celebrate the first day of a fresh new year, Thursday 1st January 2015, Nickelodeon UK, Nicktoons and Nick Jr. have unveiled their New Years Day schedule highlights, which are packed full of everybody's favourite shows, to make sure everyone can celebrate the very start of 2015 Nickelodeon Style! Nickelodeon UK's animation and action channel, NickToons UK and Ireland, will be celebrating New Year's Day by hosting a special all-day "SpongeBob SquarePants" marathon from 6.00am to 6:00pm! Then, catch back-to-back episodes of "Sanjay & Craig", "Rabbids Invasion" and "Breadwinners" from 6:00pm to 12:00am! Plus, catch episodes of "Grizzly Tales", "Gormiti", "The Matt Hatter Chronicles" and "The Fairly Odd Parents" through the night! Nickelodeon UK's preschool channels, Nick Jr. UK and Nick Jr. Too, will be celebrating New Years Day by showing episodes of favourite Nick Junior UK shows all day, including "Peppa Pig", "Dora the Explorer", "Zack & Quack", "Paw Patrol", "Ben and Holly's Little Kingdom", "Wallykazam! ", "Dinosaur Train", "Lily's Driftwood Bay", "Max & Ruby", "Dora and Friends: Into the City! ", "Pajanimals", "Guess How Much I Love You", "Rugrats", "Wonder Pets", "Thomas and Friends", "Go, Diego, Go! ", "Team Umizoomi", "Blue's Clues", "Ni Hao Kai-Lan", "Bubble Guppies", "Humf", "The Magic Roundabout", "Fifi and the Flowertots", "Pocoyo", "Louie", "Olive the Ostrich" and "Poppy Cat"! Plus, there's another chance to catch "Lost and Found", a story about a young boy and a Penguin who take a trip to the South Pole, at 11am and the Scottish television presenter Andrea McLean will join Arnie and Barnie (The Wiggly Worms; "The Wiggle Song") to read "A Bedtime Story" called "The Frog and the Princess"! New Years Eve 2014 On Nickelodeon UK, Nicktoons And Nick Jr.
To celebrate the last day of the year, Wednesday 31st December 2014, Nickelodeon UK, Nicktoons and Nick Jr. have unveiled their New Years Eve schedule highlights, which is packed full of everybody's favourite shows and much more to make sure everyone can have a end of the year party Nickelodeon Style! Nickelodeon UK's animation and action channel, NickToons UK and Ireland, will be celebrating New Year's Eve by hosting a special all-day "SpongeBob SquarePants" marathon from 6.00am to 6:00pm! Following the SBSP marathon, NickToons will countdown to midnight with back-to-back episodes of "Sanjay & Craig", "Rabbids Invasion" and "Breadwinners" from 6:00pm to 12:00am! Nickelodeon UK's preschool channels, Nick Jr. UK and Nick Jr. Too, will be celebrating New Years Eve by showing episodes of favourite Nick Junior UK shows all day, including "Peppa Pig", "Dora the Explorer", "Zack & Quack", "Paw Patrol", "Ben and Holly's Little Kingdom", "Wallykazam! ", "Dinosaur Train", "Lily's Driftwood Bay", "Max & Ruby", "Dora and Friends: Into the City! ", "Pajanimals", "Guess How Much I Love You", "Rugrats", "Wonder Pets", "Thomas and Friends", "Go, Diego, Go! ", "Team Umizoomi", "Blue's Clues", "Bubble Guppies", "Humf", "The Magic Roundabout", "Fifi and the Flowertots", "Pocoyo", "Louie", "Olive the Ostrich" and "Poppy Cat"! Plus, a young boy and a Penguin take a trip to the South Pole in the special "Lost and Found" at 4pm, Max and Ruby try to stay awake and watch the New Year arrive in the NYE-themed "Max & Ruby" episode "Max's New Year" at 2:20pm, and "EastEnders" star Natalie Cassidy will join Arnie and Barnie (The Wiggly Worms; "The Wiggle Song") to read "A Bedtime Story" called "Daisy Daydream" at 7:45pm! Counting down the last hour to 2015 will be "Wonder Pets" and "Angelina Ballerina: The Next Steps" on Nick Jr. and "Fifi and the Flowertots", "The Magic Roundabout" and "Humf" on Nick Jr. Too! 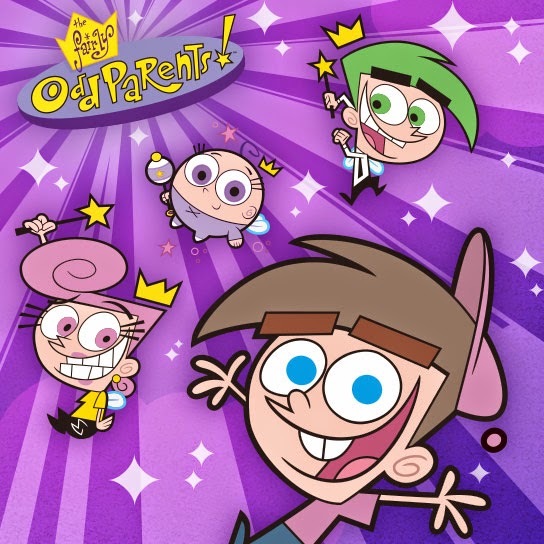 The television news website The Futon Critic is reporting the exciting news that, following a short break, Nickelodeon USA will start to premiere and show more brand new episodes from the networks hit original comedy series "Nicky, Ricky, Dicky & Dawn" every Saturday at 8:30pm (ET/PT) from Saturday 24th January 2015! 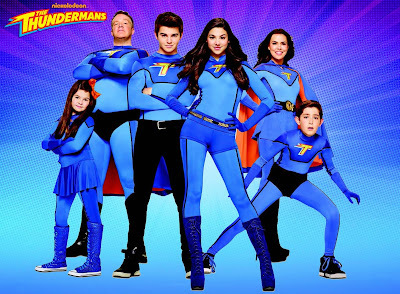 The television news website The Futon Critic is reporting the exciting news that, following a short break, Nickelodeon USA will start to premiere and show more brand new episodes from the networks hit superhero-themed original comedy series "The Thundermans" every Saturday at 9:30pm (ET/PT) from Saturday 24th January 2015! Follow NickALive! on Twitter, Tumblr, Google+, via RSS, on Instagram, and/or Facebook for all the latest Nickelodeon and The Thundermans News and Highlights! 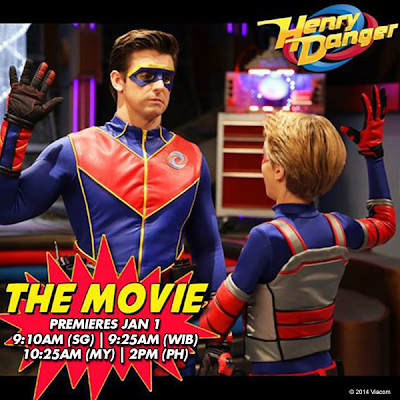 The television news website The Futon Critic is reporting the exciting news that, following a short break, Nickelodeon USA will start to premiere and show more brand new episodes from the networks hit original comedy series "Henry Danger" on Saturday 10th January 2015 at 8:00pm (ET/PT)! After Nick USA debuts the first all-new "Henry Danger" episode of 2015, the show will have a short weeks break for the hour-long two-part series premiere of Nickelodeon's brand-new show "Bella and the Bulldogs" on Nick USA on Saturday 17th January 2015 at 8pm ET/PT. Following the one week break, Nickelodeon USA will continue to air more all-new episodes of "Henry Danger" in the shows regular 8:00pm Saturday night slot from Saturday 24th January 2015. 2015 On Nickelodeon UK, NickToons, And Nick Jr. Please note, that unless confirmed, all premiere dates are speculated and are yet to be confirmed by Nickelodeon UK. Paramount Home Media Distribution has announced the Turtley Awesome TMNT News in the following press release, from Business Wire, that "Teenage Mutant Ninja Turtles", the fun-filled and action-packed blockbuster from Paramount Pictures and Nickelodeon Films, packed a major punch with phenomenal sales during its first week of release on Blu-ray and DVD in the USA (Region A/1)! Among all films theatrically released in 2014 that earned more than $100 million at the box office, "Teenage Mutant Ninja Turtles" has the highest ratio of disc sales to theatrical ticket sales for its first week of release. Produced by Michael Bay with Platinum Dunes, the film has earned over $478M to date at the worldwide box office. PHMD released TMNT on Blu-ray and DVD in the USA on Tuesday 16th December 2014. Paramount Home Entertainment will release Nickelodeon Movies and Paramount Pictures' blockbuster "Teenage Mutant Ninja Turtles" on DVD and Blu-ray and Blu-ray 3D in the UK on Monday 16th February 2015. All editions are available to pre-order right now. The DVD will be available in region 2 and the Blu-ray editions will be region free. Additionally, PHE will release the complete second season of Nickelodeon's hit CG-animated "Teenage Mutant Ninja Turtles" series on DVD on Monday 30th March 2015. The DVD, titled "Teenage Mutant Ninja Turtles: Complete Season 2", is available to pre-order now. HOLLYWOOD--(BUSINESS WIRE)--The fun-filled and action-packed blockbuster from Paramount Pictures and Nickelodeon Films, TEENAGE MUTANT NINJA TURTLES, packed a major punch with phenomenal sales during its first week of release on Blu-ray™ and DVD. Among all films theatrically released in 2014 that earned more than $100 million at the box office, TEENAGE MUTANT NINJA TURTLES has the highest ratio of disc sales to theatrical ticket sales for its first week of release. Produced by Michael Bay with Platinum Dunes, the film has earned over $478M to date at the worldwide box office. "The extraordinary performance of TEENAGE MUTANT NINJA TURTLES is a testament to the wildly-entertaining re-launch of this beloved franchise and a major success for Paramount," said Dennis Maguire, President, Worldwide Home Media Distribution, Paramount Pictures. "Consumers clearly still want to own high-quality, repeatable entertainment, which is a positive sign for our industry as a whole." Packed with jaw-dropping action and special effects and loaded with the franchise's signature humor, TEENAGE MUTANT NINJA TURTLES is fun for the whole family. In the eye-popping reimagining, the legendary heroes in a half shell take on the sinister Shredder to defend New York City with the help of intrepid reporter April O'Neil (Megan Fox). The TEENAGE MUTANT NINJA TURTLES Blu-ray Combo Pack includes loads of behind-the-scenes footage and interviews and limited quantities come with two reversible masks featuring all four signature colors of the beloved crime-fighters (while supplies last). Select retail outlets also are offering exclusive versions of the Blu-ray with collectible packaging, premiums and more. Director David Green ("EARTH TO ECHO") will take the helm of the next installment in the film franchise, with Michael Bay set to produce alongside his Platinum Dunes partners Andrew Form and Brad Fuller, with Galen Walker and Scott Mednick also producing. Screenwriters Josh Appelbaum & André Nemec ("MISSION IMPOSSIBLE: GHOST PROTOCOL") are again coming aboard to write the sequel and will also Executive Produce. The sequel will be released in theaters on June 3, 2016. Paramount Pictures and Nickelodeon Movies present a Platinum Dunes production, a Gama Entertainment/Mednick Productions/Heavy Metal production of a Jonathan Liebesman film: "TEENAGE MUTANT NINJA TURTLES." Executive produced by Denis L. Stewart, Eric Crown, Napoleon Smith III and Jason T. Reed. Produced by Michael Bay, Andrew Form, Brad Fuller, Galen Walker, Scott Mednick and Ian Bryce. Based on the Teenage Mutant Ninja Turtles characters created by Peter Laird and Kevin Eastman. Screenplay by Josh Appelbaum & André Nemec and Evan Daugherty. Directed by Jonathan Liebesman. Follow NickALive! on Twitter, Tumblr, Google+, via RSS, on Instagram, and/or Facebook for the latest Nickelodeon Movies and Teenage Mutant Ninja Turtles News and Highlights! LOS ANGELES, CA (December 11, 2014) – Saban Brands (SB) today announced the formation of two new units within the company, Saban Brands Lifestyle Group and Saban Brands Entertainment Group. Saban Brands Lifestyle Group (SBLG) was established to drive major expansion within the company’s diverse portfolio of fashion and lifestyle properties. To further solidify the foundation of Saban Brands, the company has simultaneously established Saban Brands Entertainment Group (SBEG) to oversee its entertainment portfolio. Saban Brands has seen rapid growth over the past year across its portfolio of both entertainment and lifestyle brands. SBLG currently includes Paul Frank, a globally recognized, iconic fashion brand which features artistic designs for the young and young at heart, and recently acquired Macbeth, an apparel, footwear and accessories brand inspired by musicians. SBLG is dedicated to growing its portfolio of owned properties by acquiring a diverse group of consumer, fashion and lifestyle brands. SBLG will be led by Dan Castle, Managing Director of Strategic Business Development, from Saban Brands’ New York office and showroom. Castle will continue to report to Elie Dekel, President of Saban Brands. Alongside SBLG is SBEG, which includes existing powerhouse brands Power Rangers, Julius Jr. and Digimon Fusion as well as Popples, Luna Petunia and Emojiville in development. SBEG will continue to dedicate itself to developing innovative content that resonates with consumers across all media platforms. Formed in 2010 as an affiliate of Saban Capital Group, Saban Brands (SB) was established to acquire and develop a worldclass portfolio of properties in the entertainment and lifestyle sectors. SB applies a global 360-degree management approach to growing and monetizing its brands through content, media, marketing, distribution, licensing and retail to markets worldwide and consumers of all ages. SB operates out of its global offices in Los Angeles, New York, London, Shanghai, Hong Kong and Singapore. For more information, visit www.sabanbrands.com. Follow NickALive! on Twitter, Tumblr, Google+, via RSS, on Instagram, and/or Facebook for the latest Nickelodeon, Power Rangers and Julius Jr. News and Highlights! The entertainment news websites Rolling Stone and AceShowBiz.com is reporting the exciting news that the American rock, funk, and hip hop band N.E.R.D have reunited to release a brand-new song titled "Squeeze Me" for the soundtrack for Nickelodeon Movies and Paramount Animation's upcoming "SpongeBob SquarePants" movie, "The SpongeBob Movie: Sponge Out of Water"! The fun and summery up-tempo song by Pharrell Williams, Chad Hugo and Shay Haley premiered on Friday 26th December 2014 and is set for an official release on Monday 5th January 2015, The recording is N.E.R.D's first new track since 2010, when their latest album "Nothing" arrived. "The SpongeBob Movie: Sponge Out of Water" centers on SpongeBob SquarePants and his Bikini Bottom pals as they go on a epic quest. After a pesky pirate named Alameda Jack, played by Antonio Banderas, finds a magical book which gives anybody writing on its pages the power to do just about whatever they want, he discovers that the final page is missing and sets out on a mission to retrieve the missing page, which is protected deep under the surface by one legendary hero - SpongeBob SquarePants! After the pirate gets his hands on the last page of the book to put his evil plans in motion, SpongeBob, Patrick Star, Sandy Cheeks, Squidward Tentacles and Mr. Krabs discover that to save their underwater world, they must come to ours. After arriving on the surface and meeting a few humans, they learn that to fight off the menace endangering their beloved Bikini Bottom and get the last page back into the right hands so that they can rewrite the story, they must become superheroes - SpongeBob SquarePants becomes The Invincibubble, Patrick Star turns into Mr. Superawesomeness, Squidward Tentacles is Sour Note, Mr. Krabs turns into Sir Pinch-A-Lot, Sheldon J. Plankton becomes Plank-Ton, and Sandy Cheeks is The Rodent. Get ready for a movie so extreme, you'll need new pants! "The SpongeBob Movie: Sponge Out of Water" features a mix of 2D & 3D CG-animation and live action. Pharrell, Chad Hugo and Shay Haley reunite for their first song since putting out the latest N.E.R.D. album 'Nothing' in 2010. N.E.R.D is finally back with new music. 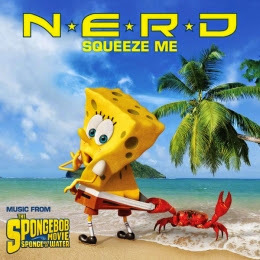 The trio comprising of Pharrell Williams, Chad Hugo and Shay Haley has made a contribution to the soundtrack of the upcoming "The Spongebob Movie: Sponge Out of Water", recording a new song called "Squeeze Me". The fun and summery up-tempo song was premiered on Friday, December 26. "The best part is the middle of me/ I'm your sponge baby go on and squeeze/ I'm better than pillows, won't you believe me/ Squeeze me," Pharrell sings from the perspective of SpongeBob SquarePants. Set for an official release on January 5, 2015, "Squeeze Me" is N.E.R.D's first new track since 2010, when their latest album "Nothing" arrived. "We're trying not to think too much in a cartoon sense," Hugo said of the song in a recent interview with Variety. "But more just like a psychedelic, otherworldy type of thing. If you want to draw a parallel, maybe think of what The Beatles did with 'Yellow Submarine'." 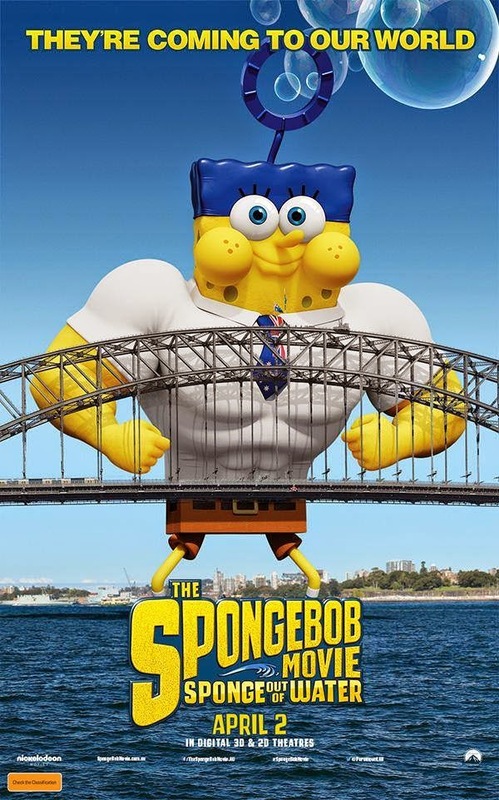 "The SpongeBob Movie: Sponge Out of Water", adapted from the popular Nickelodeon series created by Stephen Hillenburg, focuses on SpongeBob and the gang as they try to get back the krabby patty secret formula stolen by Antonio Banderas' Burger-Beard the Pirate. It arrives in U.S. theaters on February 6, 2015. Pharrell Williams has reunited with his fellow N.E.R.D. members Chad Hugo and Shay Haley for "Squeeze Me," the Neptunes offshoot's first new song in four years. The bouncy track will feature on the upcoming soundtrack for The SpongeBob Movie: Sponge Out of Water. While the trio briefly reunited in concert in November, "Squeeze Me" marks N.E.R.D. 's first recording together since they released their fourth LP Nothing in 2010. The "Squeeze Me" single will officially be released January 5th. Given the G-rated nature of its target audience, the tropical-flavored "Squeeze Me" is closer in sound and vibe to Pharrell's Grammy-nominated Despicable Me 2 solo hit "Happy" than N.E.R.D. 's raunchy singles like "Lapdance." "We're trying not to think too much in a cartoon sense, but more just like a psychedelic, otherworldy type of thing," N.E.R.D. 's Hugo told Variety of their work for The SpongeBob Movie: Sponge Out of Water soundtrack. "If you want to draw a parallel, maybe think of what the Beatles did with Yellow Submarine." While Pharrell has kept busy working on everything from Beyoncé to "Get Lucky" and "Blurred Lines" to Gwen Stefani's upcoming solo LP – not to mention serving as a coach on The Voice – the producer is still making efforts to keep his In Search Of… crew alive. During Pharrell's all-star set at the Odd Future's Camp Flog Gnaw Festival in November, Williams brought out Hugo and Haley to join him for the trio's 2002 single "Rock Star." "There will always be an N.E.R.D.," Pharrell said during a London concert in September. "I'm happy to be a nerd; the bullies lost, the nerds win." Follow NickALive! on Twitter, Tumblr, Google+, via RSS, on Instagram, and/or Facebook for the latest Nickelodeon Movies and SpongeBob SquarePants News and Highlights! 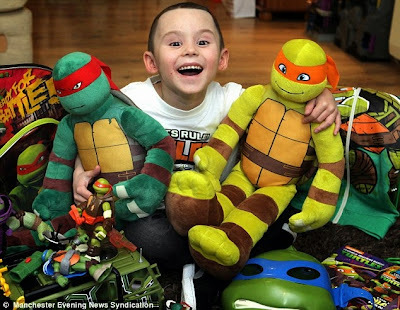 The Manchester Evening News and the Daily Mail Online are reporting the heartwarming news how Nickelodeon helped a brave young cancer patient have a Turtley Awesome Christmas! 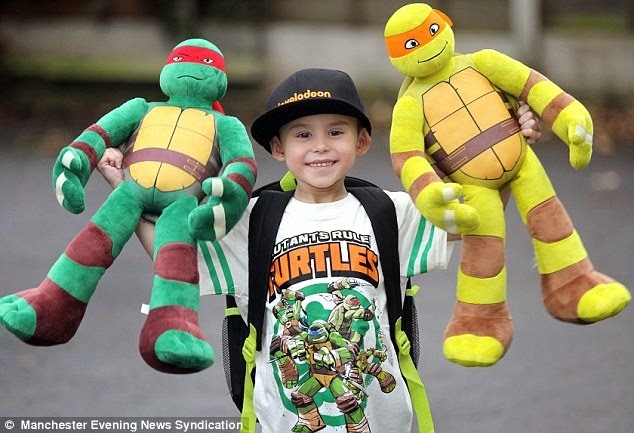 "Teenage Mutant Ninja Turtles" megafan Harley Renshaw, five, is unfortunately fighting a rare cancer in his kidney, neck, lung and bones, and has made a special Ninja Turtle mask to help him face the gruelling radiotherapy treatment. Hospital staff were amazed when the youngster, from Stretford, asked if he could decorate the protective medical mask that holds him still while having his treatment. After the story of his bravery recently made headlines around the world, staff at Nickelodeon helped make sure Harley had a ShellTastic Christmas by arranging for two actors from the networks hit CG-animated "Teenage Mutant Ninja Turtles" series to phone him at his home direct from Los Angeles, and send Harley a box full of "Ninja Turtle" Christmas presents! Harley's father Oliver, 25, said: "Nickelodeon have been fantastic. They've absolutely spoiled Harley. We've had to go and buy a huge toy box just for his Ninja Turtle toys." Harley faces more treatment in the New Year, but is thankfully at home from hospital for Christmas. Oliver added: "It's been really overwhelming. Harley is doing well and we're really pleased that we will be spending Christmas at home." Oliver and mother Stacey, 23, were given Harley's devastating diagnosis after taking him to see a doctor with a pain in his tummy. He was diagnosed with neuroblastoma - a rare and aggressive childhood cancer - and is now taking part in a clinical trial funded by Cancer Research UK at Royal Manchester Children's Hospital. Harley has also had 14 days of radiotherapy at The Christie. His story came to light after he was awarded one of Cancer Research UK's Little Star Awards, which acknowledge the unique challenges faced by youngsters who encounter cancer. Alison Barbuti, from Cancer Research UK, said: "Harley's story has helped raise a huge amount of awareness about the Little Star Awards and lots of other children who have faced a cancer diagnosis will have been nominated for the award or readers inspired to donate to our research as a result of his bravery." "If anyone would like to nominate a child for a Little Star award, please visit www.cruk.org.uk/littlestar." Tina McCann, Managing Director at Nickelodeon UK and Ireland said: "All of us at Nickelodeon were moved by Harley's story and we wanted to help to bring additional Turtle Power to his life." "We are so pleased to hear that he likes the Turtle action figures that we sent over and that we were able to coordinate a call between Harley and two of the actors from the series." "We hope that Harley and his family have a brilliant Christmas and that 2015 brings them every happiness." You can view a selection of photographs of Harley Renshaw and a video in which Harley explains his love of the "Teenage Mutant Ninja Turtles" here on The Manchester Evening News and the Daily Mail Online! A Snowboard Pro Gets a Brand New Bro in Nickelodeon UK's Brand-New Show! Nickelodeon UK, the number one commercial kids TV network in the UK, has announced the exciting Nick UK news in their new trailer/promo that Nickelodeon UK and Ireland and Nickelodeon HD UK will start to premiere and show Nickelodeon and Breakthrough Entertainment's brand-new live-action buddy-comedy series "Max & Shred" in January 2015! 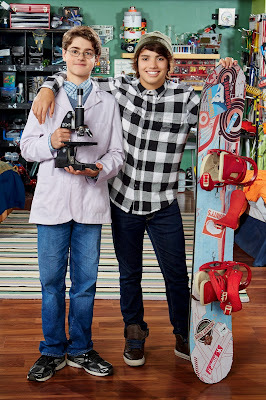 "Max & Shred" chronicles the hilarious and unlikely friendship between Max Asher (Jonny Gray), a celebrity snowboarder, and Alvin "Shred" Ackerman (Jake Goodman, "Life with Boys"), a science whiz-kid, who become roommates and instant "bros" when Max moves to Colorado to train for the Winter Cup. The two boys must work to become friends and learn to navigate the trials of teenage life from completely opposite points of view. It's gonna be siiiiick! This season on "Max & Shred", the boys will find themselves in hilarious situations that everyday teens' experience. From liking the same girl to navigating the crazy halls of high school to fighting over who gets a new room, Max and Shred may approach life differently but in the end, they always have each other's back. "Max & Shred" (26 X 30) is created by writing partners Ben MacMillan and Josh Greenbaum whose credits include CW's "Swordfighting", CBS's "Homeland Insecurity" and the Paramount feature film "The Mascot". The series is executive produced by George Doty IV who is no stranger to the Nickelodeon family having written and co-executive produced some of the networks biggest hit shows including "iCarly", "Victorious" and the beloved buddy-comedy series "Drake & Josh". Follow NickALive! on Twitter, Tumblr, Google+, via RSS, on Instagram, and/or Facebook for the latest Nickelodeon UK and Max & Shred News and Highlights! Nickelodeon UK, the number one commercial kids TV network in the UK, has announced the exciting Nick UK news in their latest "All New All Nick" trailer/promo that Nickelodeon UK and Ireland and Nickelodeon HD UK will be premiering and showing more brand-new episodes of Nick's popular family comedy series "See Dad Run" from Monday 5th January 2015! 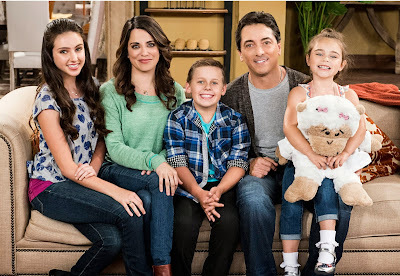 According to Digiguide, Nick UK & Eire/HD will premiere each all-new episode of "See Dad Run" at 6:00pm (repeated at 7:00pm on Nickelodeon+1) and will be airing an encore of each episode the same night at 9:00pm (10:00pm). Follow NickALive! on Twitter, Tumblr, Google+, via RSS, on Instagram, and/or Facebook for the latest Nickelodeon UK and See Dad Run News and Highlights! To celebrate, below is a selection box of great festive Nickelodeon Christmas videos, including three of Nickelodeon UK's Christmas Pantomania pantomimes featuring Classic Nick UK presenters telling their own versions of classic fairy tales, to get you rocking around the Nickmas tree! Enjoy! Don't forget to tell NickALive! what Santa Claus brought you for Christmas this year and what has been your favourite Christmas present ever! Get in touch on Twitter, Tumblr, Google+, on Instagram, and/or Facebook! Nickelodeon UK To Celebrate The End Of The Year With The "Nickelodeon Class of 2014"
Nickelodeon UK, the number one commercial kids TV network in the UK, has announced the exciting Nick UK news in a brand-new trailer/promo, below, that Nickelodeon UK and Ireland and Nickelodeon HD UK will celebrating the last week of 2014 with a special programming stunt called "Nickelodeon Class of 2014"! 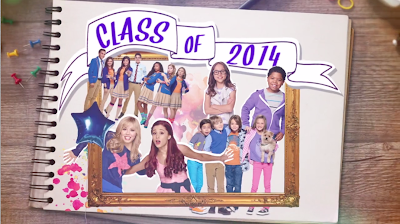 As part of "Nickelodeon Class of 2014", Nickelodeon UK and Ireland will be looking back at this years biggest shows, including "Nicky, Ricky, Dicky & Dawn", "The Haunted Hathaways", "Sam & Cat", "The Thundermans", "Every Witch Way" and "See Dad Run", to celebrate the weirdest, most shocking, very hilarious and most memorable moments from 2014, plus will be showing some of Nick's hugest Nick Flicks, including "A Fairly Odd Summer" and "Santa Hunters", to kick of the new year everyday between 11:00am and 4:00pm (repeated between 12:00pm and 5:00pm on Nick+1) from Friday 26th December 2014 (Boxing Day)! Nickelodeon Class of 2014 from Laura Payne on Vimeo. Viacom International Media Networks (VIMN) UK and Ireland have announced on their job vacancy's website, Viacom Talent, that Nickelodeon UK, the number one commercial kids TV network in the UK, are currently looking for three new staff members to join Team Nickelodeon! Follow NickALive! on Twitter, Tumblr, Google+, via RSS, on Instagram, and/or Facebook for the more Nickelodeon UK Job Opportunity's! To celebrate Nickelodeon Movies and Paramount Animation upcoming brand-new "SpongeBob SquarePants" movie, "The SpongeBob Movie: Sponge Out of Water", Nickelodeon and Paramount have unveiled a brand-new "Sponge Out of Water" promotional micro website on Nick USA's official website, nick.com! Nick and Paramount's sponge-tastic all-new "Sponge Out of Water" website features a Look Book featuring information about each characters' superhero alter ego in the film - Invincibubble (SpongeBob SquarePants), Mr. Superawesomeness (Patrick Star), Sir Pinch-A-Lot (Mr. Eugene Krabs), Plank-Ton (Sheldon J. Plankton), Sour Note (Squidward Tentacles), and The Rodent (Sandy Cheeks) - plus a game arcade featuring the exclusive online "SpongeBob" game "Save The Krabby Patty", plus a video gallery featuring a trailer for "Sponge Out of Water" and a exclusive video titled "Evolution of SpongeBob", which answers the most important question ever in the history of important stuff, how did SpongeBob take shape? The video covers the different animation styles SpongeBob has been animated in, from his 2D origins and Nick's first stop-motion special, "It's A SpongeBob Christmas! ", to CGI in SpongeBob's upcoming 3D movie! Leading up to the premiere, Nick will also unlock the Super Awesome Super Power Quiz on the website! 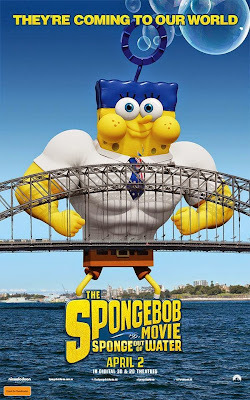 "The SpongeBob Movie: Sponge Out of Water" will be released in theatres in the USA on Friday 6th February 2015 and in Digital 3D and 2D in cinemas across the UK on Friday 20th March 2015! To celebrate NickToons USA airing the 2003 series of "Teenage Mutant Ninja Turtles", produced by 4Kids Entertainment and Mirage Studios, as part of the networks Christmas programming highlights, Nickelodeon USA has launched a brand-new area on their official website called "Throwback Turtles" where visitors can watch each episode of the 2003 series of TMNT for FREE after each episode of "Teenage Mutant Ninja Turtles" has been shown on NickToons! Missed an episode of "Teenage Mutant Ninja Turtles" or just want to see all the epic action again? Hop in the TMNT time machine and head to nick.com/throwback-turtles today, plus watch "Teenage Mutant Ninja Turtles" every night from 8pm (ET/PT) through Sunday 28th December 2014, only on Nicktoons! Follow NickALive! on Twitter, Tumblr, Google+, via RSS, on Instagram, and/or Facebook for the latest Nickelodeon, NickToons and Teenage Mutant Ninja Turtles News and Highlights! The Hollywood Reporter is reporting the exciting news that Nickelodeon USA will premiere and show "Little Ballers", a brand-new sports documentary that centers on a group of 11-year-old basketball players in New York City's Amateur Athletic Union, an inner-city springboard for potential NBA talent, on Wednesday 18th February 2015, as part of Nicktoons USA's recently launched NickSports programming block! The 81-minute doc, originally scheduled to debut on NickSports during November 2014, is set against the backdrop of New York City, shining a spotlight on the Amateur Athletic Union (AAU) as a feeding ground to potential NBA stardom. Featuring interviews with NBA and WNBA stars including Amar'e Stoudemire, Carmelo Anthony, Steve Nash, Russell Westbrook, Joakim Noah, Walt Frazier, Tyson Chandler, J.R. Smith and Chamique Holdsclaw, Little Ballers follows four 11-year-old boys and their legendary coach as they set out to win an AAU National Championship. For these boys, basketball is more than a game; it offers them hope. The movie is directed by Crystal McCrary, produced by Knicks player Amar'e Stoudemire and executive produced by Lupe Fiasco and Stoudemire. 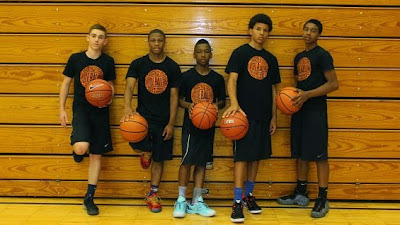 You can watch NickSports "Little Ballers" promo in the online streaming video clip below! Little Ballers Promo from LITTLE BALLERS film on Vimeo. Set against the backdrop of New York City, LITTLE BALLERS tells the story of 4 diverse eleven-year old boys and their legendary coach as they set out to win an AAU National Championship. For these young men, basketball is more than a game. It is a deep passion that holds a special meaning for each of them: escaping poverty, getting an education, living the American dream and bonding with a father, but more than anything, basketball offers them hope. Follow NickALive! on Twitter, Tumblr, Google+, via RSS, on Instagram, and/or Facebook for the latest Nickelodeon, NickToons and NickSports News and Highlights! Santa Claus Reveals Winner Of Nickelodeon UK's "Jordan and Perri's Xmas Slime"
Over the past four weeks, best friends Jordan Banjo and Perri Kiely from the British street dance troupe Diversity donned their very best Christmas jumpers and treated Nickelodeon UK and Ireland viewers to a host of celebrity guests, a sack-load of prizes, festive dares and everyone's favourite Nickelodeon shows, movies and seasonal specials, plus sharing survival tips for Christmas and revealing their best and worst Christmas gifts direct from their cozy North Pole cabin whilst NickHeads in the UK and Ireland have been voting at nick.co.uk/slime for who they want to receive the ultimate Christmas present - an honorable Nickelodeon sliming - as part of "Jordan and Perri's Xmas Slime"! After receiving his huge sliming, Perri announced that Nick's dynamic duo will be back on Nickelodeon in 2015! Follow NickALive! 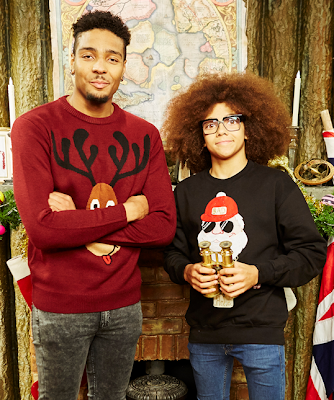 on Twitter, Tumblr, Google+, via RSS, on Instagram, and/or Facebook for the latest Christmas on Nickelodeon UK and Jordan and Perri's Xmas Slime News and Highlights! To celebrate Nickelodeon's upcoming "Kids' Choice Awards 2015" awards ceremony, Nickelodeon's 28th Annual Kids' Choice Awards, which Nickelodeon USA will be holding, premiering and showing on Saturday 28th March 2015 in Los Angeles, California, Nick USA has unveiled the networks first teaser trailer for KCA 2015 on their official YouTube channel, which you can watch in the online streaming video clip below! Nickelodeon's first "Kids' Choice Awards 2015" promo features a group of kids who are making a homemade trailer for the "Kids' Choice Awards 2015" starring the famous Nickelodeon blimp traveling around the universe, including famous landmarks and monuments across the USA, turning Mount Rushmore into Mount Slime More! The 2015 Nickelodeon Kids' Choice Awards is coming, and it's going to be stellar, it's going to be epic, and it's going to be monumental! But it wouldn't be the Kids' Choice Awards without YOU! To make Nickelodeon Kids' Choice Awards 2015 the biggest and slimiest ever, Nick needs your help! Nickelodeon wants to know what YOU'RE into and they're looking to YOU to help them decide what will happen at KCA 2015! Get ready to tell Nick all about your favorite music, video games, celebrity's, and more! Nick are packing the house with loads of your fave celebs and performers because the Kids' Choice Awards are all about YOU! You pick who walks away with the blimp and this year YOU help make the show! To celebrate the Nickelodeon Kids' Choice Awards 2015, nick.com/kca is keeping you in the loop and giving you exclusive challenges, updates, video clips and pictures to help make this year's Kids' Choice Awards, YOUR KIDS' CHOICE AWARDS! Follow NickALive! on Twitter, Tumblr, Google+, via RSS, on Instagram, and/or Facebook for all the latest Nickelodeon and Kids' Choice Awards 2015 News! Nickelodeon Australia and Sea World Gold Coast have announced the Turtley Awesome TMNT News in the following press release, from Village Roadshow Theme Parks' official media centre, that Sea World will be having its biggest ever December with the launch of two new attractions including an amazing dolphin show and the arrival of Nickelodeon's "Teenage Mutant Ninja Turtles" in an Australian first! 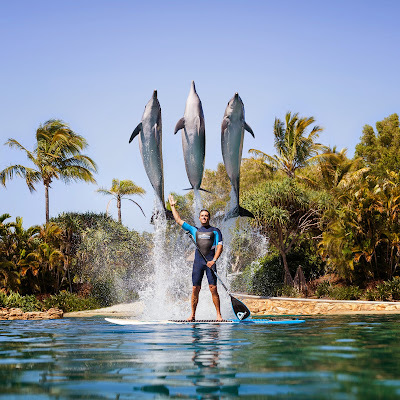 Sea World's amazing new dolphin show officially launched today, Tuesday 23rd December 2014, and celebrates the remarkable relationship between dolphins and humans, taking guests on an unforgettable journey in an encounter with one of the world's most intriguing animals. 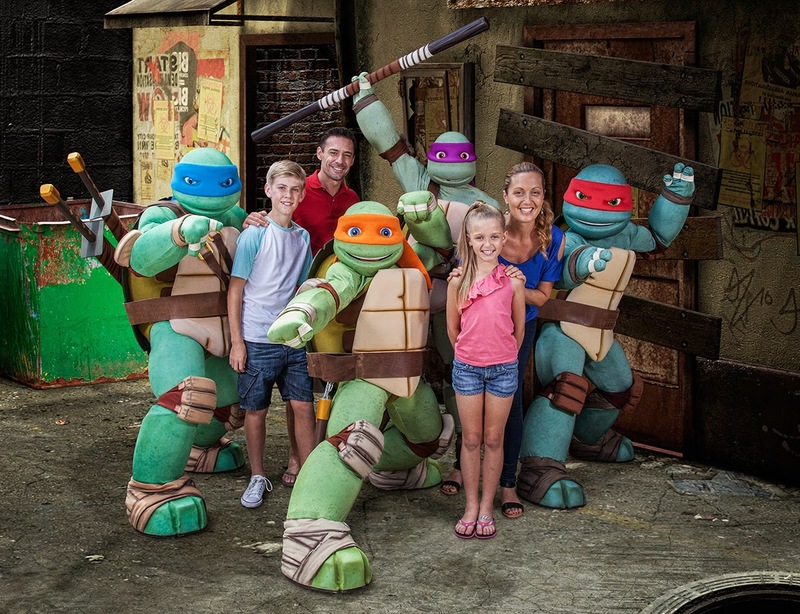 Sea World's second major attraction set to wow crowds this summer is the introduction of Nickelodeon's "Teenage Mutant Ninja Turtles", which will officially launch on Christmas Eve, Wednesday 24th December 2014, marking the first time Nick's Heroes in a Half-Shell turtles — Leonardo, Raphael, Donatello and Michelangelo - have appeared in an Australian theme park. As part of Sea World's TMNT attraction, guests will be able to meet and greet their crime fighting heroes and see the spectacular Shellraiser every day. The Teenage Mutant Ninja Turtles will also be joining their fellow Nickelodeon stars SpongeBob SquarePants, Patrick Star, Dora the Explorer, Diego and Boots at Sea World Resort & Water Park to greet guests in the lobby and provide plenty of photo opportunities and excitement for Resort guests, plus the Nickelodeon-themed family shows "SpongeBob SquarePants 3D" and "Dora's Best Friend Adventure". Nickelodeon Australia and Village Roadshow Theme Parks also recently partnered to open Nickelodeon Beach at Wet'n'Wild Sydney to celebrate the water parks first anniversary and summer! "Sea World is well known for its world class entertainment as well as its focus on conservation and education. The new dolphin show will highlight the powerful bond shared between the magical marine mammals and humans all while educating guests on how they can make a difference to actively care for marine life. "In addition to the new Dolphin show, we are also joining forces with Nickelodeon to bring the popular Teenage Mutant Ninja Turtles franchise to Sea World. Guests will be able to meet their crime fighting heroes Leonardo, Donatello, Raphael and Michelangelo and see the spectacular Shellraiser every day at Sea World. "The Teenage Mutant Ninja Turtles will also be joining their fellow Nickelodeon characters: SpongeBob SquarePants, Patrick Star, Dora the Explorer, Diego and Boots at Sea World Resort & Water Park to greet guests in the lobby and provide plenty of photo opportunities and excitement for Resort guests," he said. The best way to experience the new Dolphin Show and Nickelodeon's Teenage Mutant Ninja Turtles is with a VIP Magic Pass. The VIP Magic Pass gives guests unlimited entry to Warner Bros. Movie World, Sea World and Wet'n'Wild Gold Coast until 30 June 2015. For more information visit seaworld.com.au or call 13 33 86. Follow NickALive! on Twitter, Tumblr, Google+, via RSS, on Instagram, and/or Facebook for all the latest Nickelodeon Australia & New Zealand and Teenage Mutant Ninja Turtles News and Highlights! Bryan Konietzko And Mike DiMartino Talk About The Ending Of "The Legend of Korra"
Note - This NickALive! 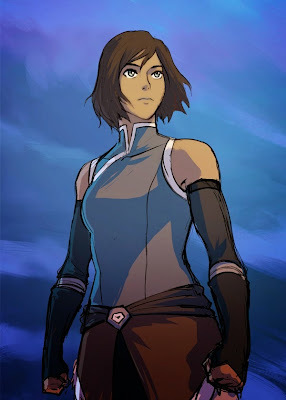 blog post contains spoilers about the closing chapter of "The Legend of Korra" that some NickALive! readers may prefer to avoid. Please scroll down the page if you wish to continue. Following Nickelodeon USA premiering the epic one-hour series finale episode of "The Legend of Korra" on nick.com, the Nick App and NickToons USA on Thursday 18th December 2014, the creators of "Legend of Korra" have broken their silence to clear up any confusion about the show's surprise ending! Bryan Konietzko and Mike DiMartino have never been shy about discussing fan expectations. But the creators of "The Legend of Korra" have both written definitive pieces confirming that their second "Avatar" series does in fact end with Korra and Asami embarking on a romantic relationship. Or as Konietzko puts it on his official Tumblr blog: "Korrasami is canon". 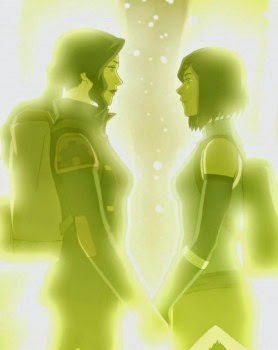 You can read Bryan and Mike's posts about the final episode of "Legend of Korra", in which they discuss how they came up with the concept for Korrasami, how they feel about the ending of "The Legend of Korra", and the different, mostly positive, reactions from fans, on their official Tumblr blogs - Bryan Konietzko, who has bragging rights as the first Korrasami shipper, and Mike DiMartino. NickHeads in the USA can watch the one-hour conclusion of "The Legend of Korra", "Day of the Colossus" (part one) and "The Last Stand" (part two), in full here on Nick.com and on Nickelodeon's Emmy Award-winning Nick App! Nickelodeon, the number-one entertainment brand for kids and families, has announced the fantastic Nickelodeon Ratings News in the following press release, from TVByTheNumbers.com, that Nickelodeon USA is 2014's top basic cable network with kids and total viewers! NEW YORK—Dec. 22, 2014 – Nickelodeon is projected to end 2014 as the top basic cable network in total day with kids 2-11 (2.6/808K) and total viewers (1.5MM), according to Nielsen Media Research (12/30/13-12/18/14). In a year marked by a record amount of new content launches, Nick's 2014 performance is currently +13% ahead of the next closest competitor with kids 2-11 and ahead +9% among total viewers. This year, Nickelodeon launched the live-action hits Nicky, Ricky, Dicky & Dawn and Henry Danger, which both posted year-over-year increases in their time periods with key kid demos. Nicky, Ricky, Dicky and Dawn grew +12% with kids 2-11 over last year and +27% with kids 6-11, while Henry Danger saw increases of +11% with kids 2-11 and +20% with kids 6-11. Also in live action, the second season of fan-favorite series Every Witch Way landed among 2014's top 10 kids' programs of the year and boasted +25% year-over-year increases with kids 2-11. In animation, SpongeBob SquarePants ranked as the number-one animated kids program with total viewers across basic cable. Nickelodeon also rolled out brand-new preschool series in 2014 with Dora and Friends: Into the City (M-F at 12 p.m.) and Blaze and the Monster Machines (M-F at 12:30 p.m.), which consistently win their respective time periods with kids 2-5; as well as Wallykazam, which ranks as a top five preschool show for the year. Dora and Friends features the iconic character living in a city, attending school and working with her peer group to give back to the community. Blaze and the Monster Machines, the first preschool show on TV to comprehensively cover all areas of STEM in every episode, follows the amazing monster truck Blaze and his eight-year-old driver AJ. Wallykazam! is Nickelodeon's first preschool series that embeds a literacy curriculum into a full-length story. Overall, Nick's hit preschool roster scored six spots in the top 10 with kids 2-5: PAW Patrol, Wallykazam!, Team Umizoomi, Dora the Explorer, Bubble Guppies and Peter Rabbit. Nickelodeon's awards shows also continue to be a force with kids. The 2014 Nickelodeon HALO Awards scored the show's biggest audience ever. The Sunday night (Nov. 30, 7 p.m.) concert special drew 3MM total viewers across Nickelodeon, Nicktoons and TeenNick and posted double-digit year-over-year increases with kids 2-11 (+31%) and kids 6-11 (+37%). The first annual Kids' Choice Sports Awards (Thursday, July 17, 8-9:30 p.m.) netted double-digit gains with kids 2-11 (up +52% from a year ago), kids 6-11 (+68%) and total viewers (+37%). Also, the 27th Annual Kids' Choice Awards (Thursday, March 29, 8-9:30 p.m.) drew 5MM total viewers and ranked as the top telecast of that week (3/24/14-3/30/14) with kids 2-11 and kids 6-11. Nickelodeon's niche networks, TeenNick and Nicktoons, secured double-digit gains with their core audiences in 2014. TeenNick was up +33% over last year and Nicktoons also1 experienced growth (+17% vs. year ago) with its target of boys 6-11, fueled by its new NickSports programming block. NickSports airs every Wednesday (9 – 11 p.m.) on Nicktoons and features a rotating lineup of sports-themed content from the NFL, MLS, NASCAR and WWE. Additionally, the newly launched Nick Jr. app (Wednesday, Dec. 10), featuring Nickelodeon's hit preschool content, interactive educational activities, and TV Everywhere capability, currently ranks as the number-one app on the kids free and educational free lists in the U.S. iTunes App store. Nickelodeon, now in its 35th year, is the number-one entertainment brand for kids. It has built a diverse, global business by putting kids first in everything it does. The company includes television programming and production in the United States and around the world, plus consumer products, online, recreation, books and feature films. Nickelodeon's U.S. television network is seen in more than 100 million households and has been the number-one-rated basic cable network for 19 consecutive years. For more information or artwork, visit http://www.nickpress.com. Nickelodeon and all related titles, characters and logos are trademarks of Viacom Inc. (NASDAQ: VIA, VIA.B). Follow NickALive! on Twitter, Tumblr, Google+, via RSS, on Instagram, and/or Facebook for the latest Nickelodeon Ratings News and Highlights! To celebrate Nickelodeon USA starting to premiere and show brand-new episodes from the all-new third season of "Every Witch Way" weeknights from Monday 5th January 2015, the entertainment news website Just Jared Jr. recently caught up with the stars of "Every Witch Way" season three, including new cast member Elizabeth Elias, who plays the shows new villain Mia in EWW season three, during Nickelodeon's spellbinding "Every Witch Way Weekend" event at Universal Studios Orlando in Florida, USA, who talked about what fans can expect to see during "Every Witch Way" season three! The full cast of "Every Witch Way", Paris Smith, Diego Alvarez, Daniela Nieves, Denisea Wilson, Autumn Wendel, Zoey Burger, Louis Tomeo, Jackie Frazey, and Jason Drucker were all in attendance at Nick's fun-filled fan event. The action-packed weekend included a Q&A session, set props giveaway with fans, meet and greets, and an autograph session, and concluded with a exclusive sneak peek preview of the first two episodes of Season 3! Season three of "Every Witch Way" promises to have tons of fun, lots of drama and show-stopping magic, plus plenty of hilarious moments! JustJaredJr.com: What can we expect from Season 3? Nick: First of all, we have a new character this season. While Emma is really controlling her powers more and taking it to her full advantage. Like in the first episode, something happens and she doesn't know what to do – but her powers are getting stronger and stronger by the day. She just has to know how to control them. Rahart: You can expect a lot of drama, bombshells, and things you wouldn't expect. Zoey: You can also expect a lot of magic! Jackie: T3 are going to have some huge competition. And their pranks might backfire a little bit. Louis: There are going to be a lot of messes. It was very very very messy on set. Jason: One more thing I can say about the new girl (Mia) is she is very rebellious. Tyler: A lot of new drama, a lot of new magic. Really cool new magic tricks. And the new character Mia is going to cause a lot of new issues for a bunch of the couples. Denisea: You can expect a lot of makeups and breakups. Elizabeth: We're spicing things up this season. Paola: There's a new location called the Beach Side 7. And Emma is a waitress, Daniel is a life guard, Diego is the manager, and Gigi is also the waitress. That's where everything is going down. Autumn: There's a lot of magic and lots of animals. Tyler: And Diego's relationship builds up a lot more! Tyler: Cause the whole last season was building up to 'Miego.' And now that they're together, you can see their relationship grow and evolve. A lot of new effects and Diego gets better with his powers. Zoey: You can expect a new character this season and she is bringing the evil. She's getting her evil on! Rahart: So Jax is put in rebel's bootcamp because he's so much of a rebel. He doesn't care so much for rules so he's being reprimanded for it. So Agamemnon has put him in his bootcamp and you'll see how he progresses as a character...whether he changes or not. But there's a lot that happens along the way that you wouldn't so much expect. JJJ: So what's the story about Jax? Is he good or a baddie? Rahart: Jax is still Jax down to his heart. Jax to me is the rebellious wizard – he doesn't care too much for rules, but he has a huge heart. He's has this front up that he feels he has to be this cool guy. You see, there are some things this season that really define him as a person on who he wants to be. Nick: Daniel still loves Emma with his every fiber of his being. But with Emma he just wants to control her a little bit and not let her make so much magic. He still does not believe in magic in his core even though he loves Emma. So it's kind of a contradiction for himself to love her and deal with her powers. Through the season he becomes more and more adapted to it and understands it a little bit better. JJJ: What similarities and differences do you have with the characters that you play on the show? Denisea: Similarities is I love my character's wardrobe most of the time. As for differences, one thing I don't like about my character is how submissive Katie is because I believe people should stand up for themselves. Maddie is a little too mean and I feel like sometimes that's the type of friendship you have, you might not have the best friendship. So I would want to teach kids that you should be respected and you should make sure to give respect and get respect. If you're not getting respect, you're in the wrong relationship. Liz (who plays the new villain, Mia, on the show): I would have to say the similarities is that we both share the same body! Liz: We're completely different. Mia is rebellious and I'm this nice girl who loves to make friends. We're just completely different. JJJ: Was it hard to get into that role? Liz: Actually no! I guess it's the inner 'bad girl' in me that comes out, you know? Everyone has a dark side. Tyler: Me and Diego are similar in that we both like to have fun and are really passionate about things. When I love somebody I really love them and when I'm good friends with someone I would do anything for that person. And Diego is very loyal just like me. But differences is Diego is very neurotic. I'm kind of neurotic, but not really as neurotic. Tyler: He's obsessive and I'm not as obsessive. Little bit, but not there yet! Tyler: He doesn't take school seriously, and I kind of take school seriously. Autumn: I hope I make a little bit more sense than what Sophie does. I love how she just wants to be herself! I love that and I'm the same way. I feel like if you can't be yourself, then who you are you going to be? Also, I would not be the popular mean girl like Sophie is, but she rocks it! Paris: I would have to say definitely the fashion thing. Maddie loves fashion and I love fashion. She loves shopping and I love shopping. Differences is Maddie can be a little mean. I'm not THAT mean. I'm a little sassy but not like mean or bratty or anything like that! Paola: I admire Emma's honesty. I would say I'm pretty honest and trustworthy person, only because that's what I want to receive back from people. So definitely that – and then we're both pretty naive. It's like we'll end up getting wiser, but I'm still young and naive. I guess with the trustworthy thing, I trust a little bit too easily. Differences, throughout the seasons, she's learned to stand up for herself, way better than Season 1. So I love that. Definitely compared to Season 1, I stand up a lot better than she does. JJJ: Is that what we can expect from Season 3? Paola: Oh yeah – Yes you can – a little teaser in there. You'll see Emma standing up for herself. Family and friends always comes first for her. And she gets a little defiant! That'll be interesting to see! 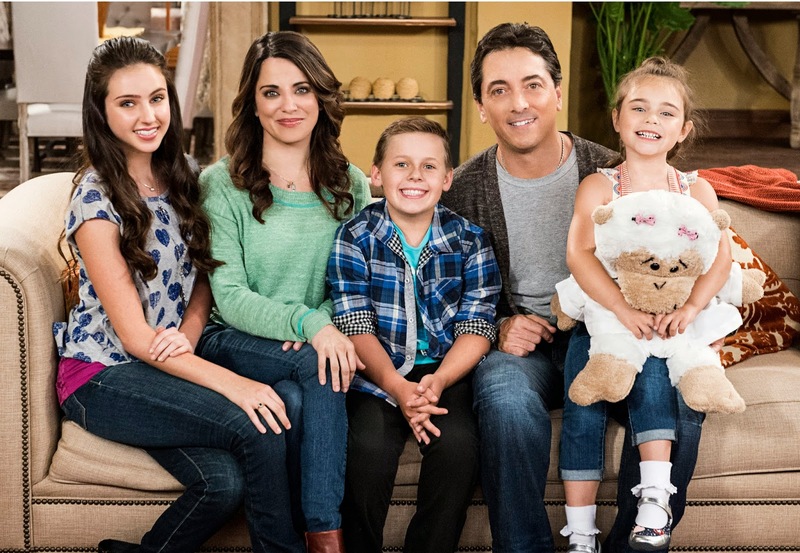 The all-new season begins on January 5 on Nickelodeon! Follow NickALive! on Twitter, Tumblr, Google+, via RSS, on Instagram, and/or Facebook for the latest Nickelodeon and Every Witch Way News and Highlights! Nickelodeon USA Launches "Short & Funny"
Nickelodeon USA Launches "Short Toons"